. EDGECORE 24 Port Managed L2+ Switch with 4x 10G Uplink Ports. 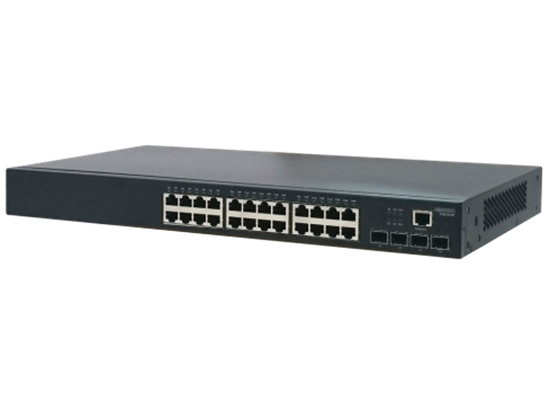 EDGECORE 24 Port Managed L2+ Switch with 4x 10G Uplink Ports. 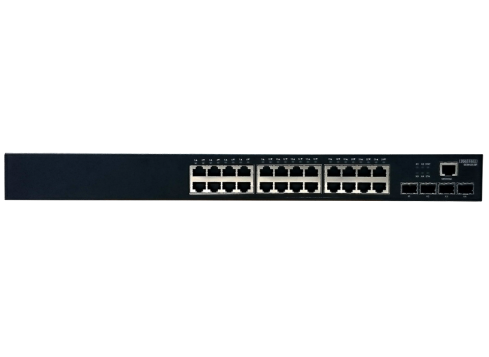 ECS4120-28T is a high-performance Gigabit Ethernet switch featuring 28 ports, with 24x GE + 4x 10G SFP+ ports. ECS4120-28T is high-performance Layer 2+ managed with 128Gbps switching capacity and fan-less design to increases the reliability of the system. Superior Management - An industry-standard command-line interface (CLI), and supports SNMPv1, 2c, 3 and four group RMON.